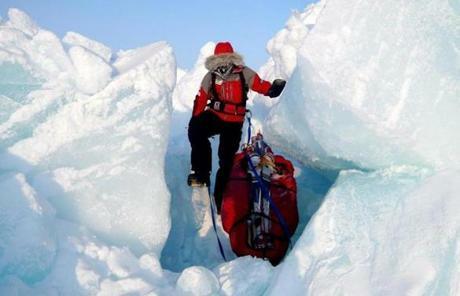 If Boston's Vanessa O’Brien gets to the North Pole in April, she will have completed the Explorers’ Grand Slam faster than any woman ever has. 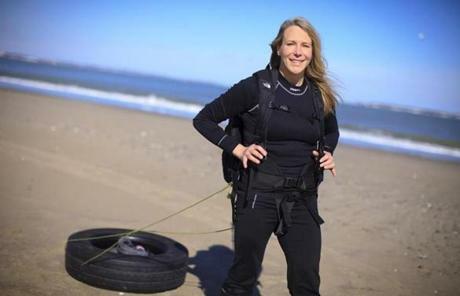 She will have climbed the highest peaks on all seven continents in 11 months. 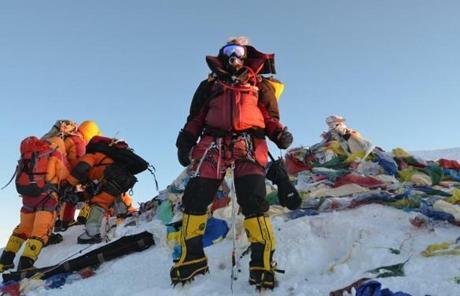 Pictured, O'Brien reached Mount Everest on May 19, 2012. 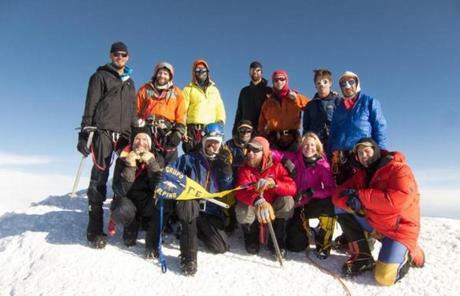 O'Brien (pink jacket first row) went 20,320 feet to reach the summit of Mount McKinley on June 19, 2012, with three AMS teams. 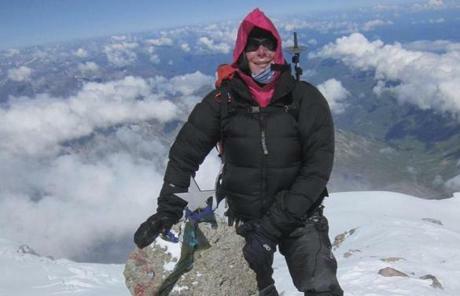 O'Brien made it to the summit of 18,510-foot Mount Elbrus in Russia on July 15, 2012. 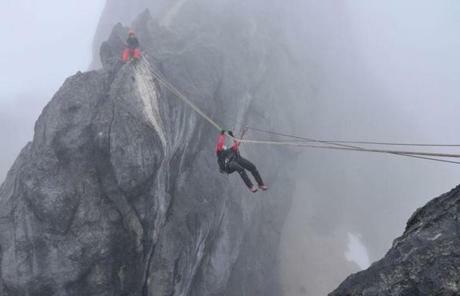 O'Brien completed a Tyrolean traverse on Carstensz Pyramid of Indonesia on the way to the summit in September 2012. 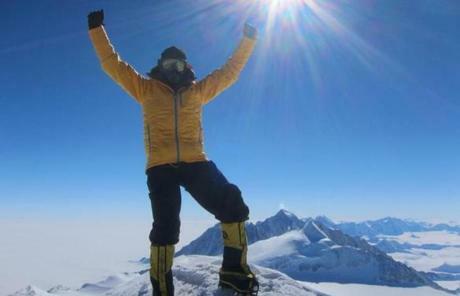 O'Brien on Antarctica's Mount Vinson Massif, where she summited 16,050 feet on Dec. 5, 2012. O'Brien reached the South Pole in December 2012. 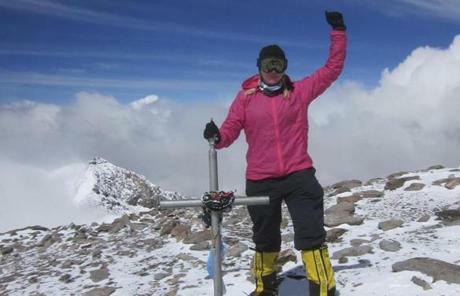 O'Brien at the top of Mount Aconcagua in Argentina, South America's highest peak, where she finished climbing 22,841 feet on Jan. 20, 2013. 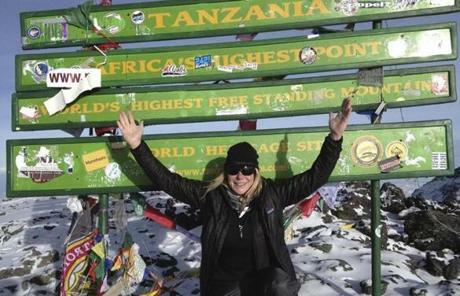 O'Brien accomplished the 19,340-foot peak of Mount Kilimanjaro, the highest in Africa, on March 10, 2013.